In Memory of Theresa A. 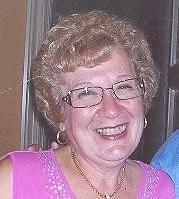 (Caruso) Mangano February 13, 1945 - February 25, 2012 Obituary THERESA A. MANGANO (nee Caruso), age 67. Beloved wife of Carmelo, dearest mother of Marisa (deceased); loving sister-in-law, aunt, cousin and friend of many. The Mangano family would like to thank the staff at Hospice of the Western Reserve for the kind and compassionate care Theresa received. Mass of Christian Burial 10:30 Tuesday February 28 at St. Clare Church. Entombment Western Reserve Memorial Gardens.